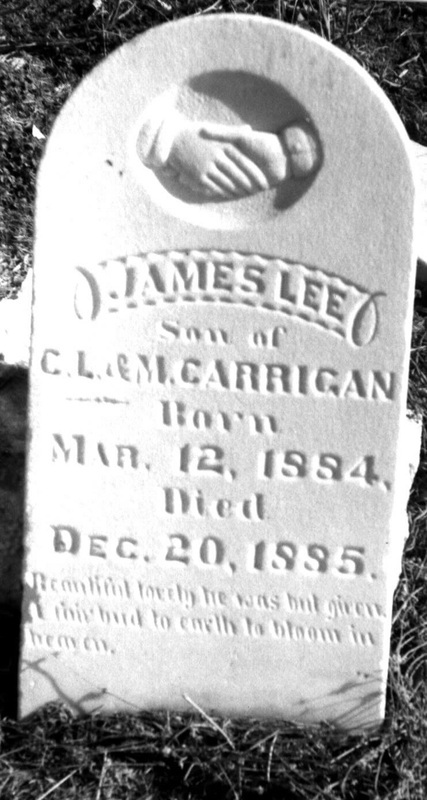 James Lee Carrigan is buried in the Decatur-Maxwell-Murphy Cemetery in Murphy, Texas. Melissa and Charles were married by 1880. Melissa was originally married to a Jesse Sidwell and had three children by him. She is the mother of Wm. F. Sidwell, who is buried in this cemetery. In 1900 Hattie Carrigan and Ella Sidwell are living with Charles and Melissa in Dallas. Charles and Melissa (Lizzie) are buried in Dallas.